Adds the Fly-in opt-in type, which enables you to display an opt-in box in the bottom right or left corner of the screen. Adds the Shortcode opt-in type, which enabled you to use to add opt-in boxes anywhere in your template files with the use of the shortcode. Adds the After Content opt-in type, which enables you to automatically display opt-in boxes after your post’s and page’s content. 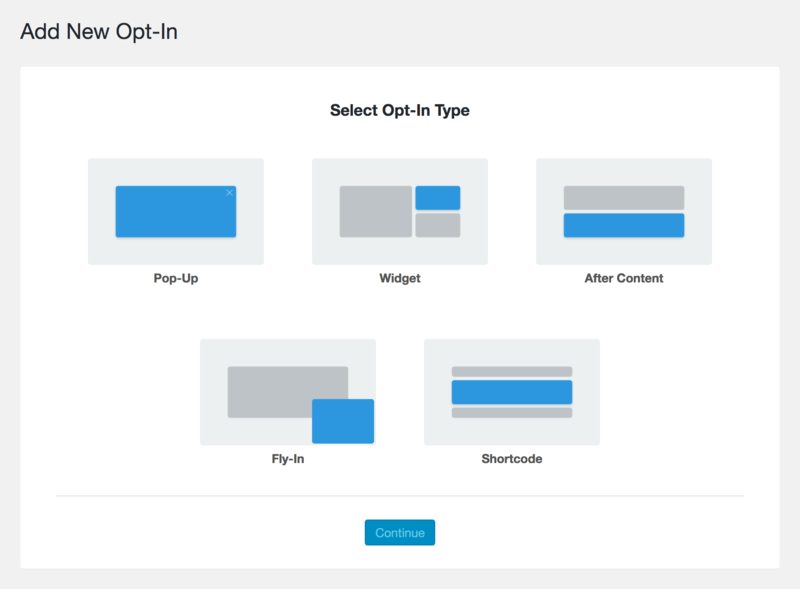 Opt-In types selection screen when adding a new opt-in. 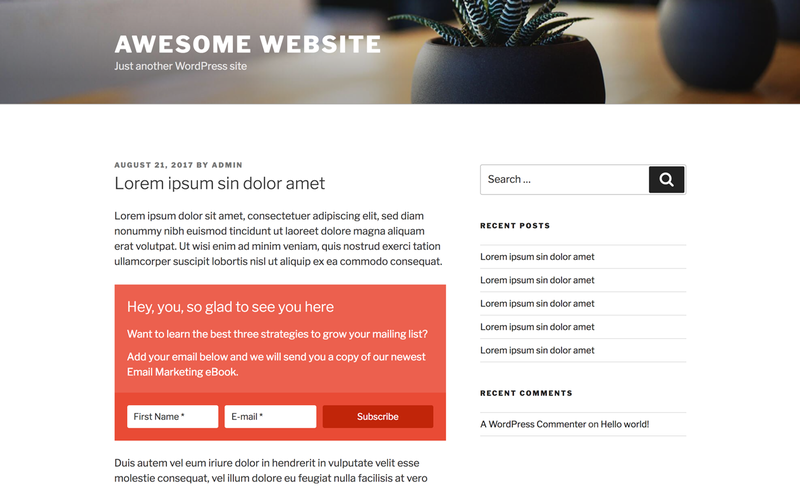 Display of the fly-in form on a WordPress default theme. Display of the shortcode form on a WordPress default theme. Extended Opt-Ins Pack Extension is available in Optin Hound Basic & Pro.